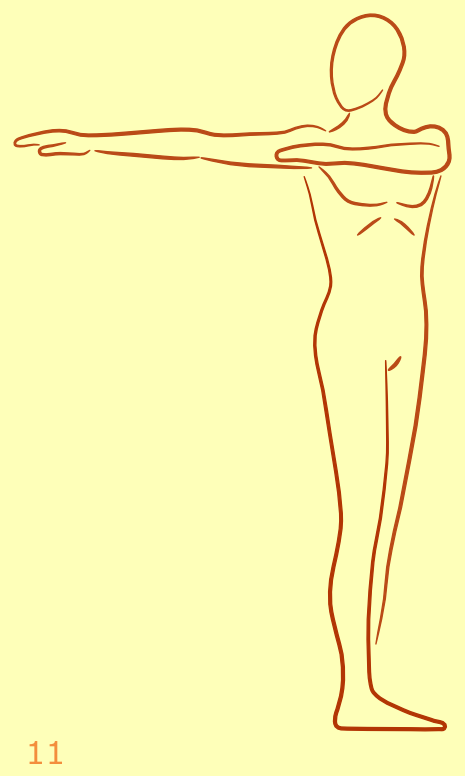 A video of the Egyptian Sun Salutation. This should give you some idea of the body movements. Detailed step-by-step instructions of the whole sequence. A link to a PDF file. In this file you’ll find a brief overview of the sequence. 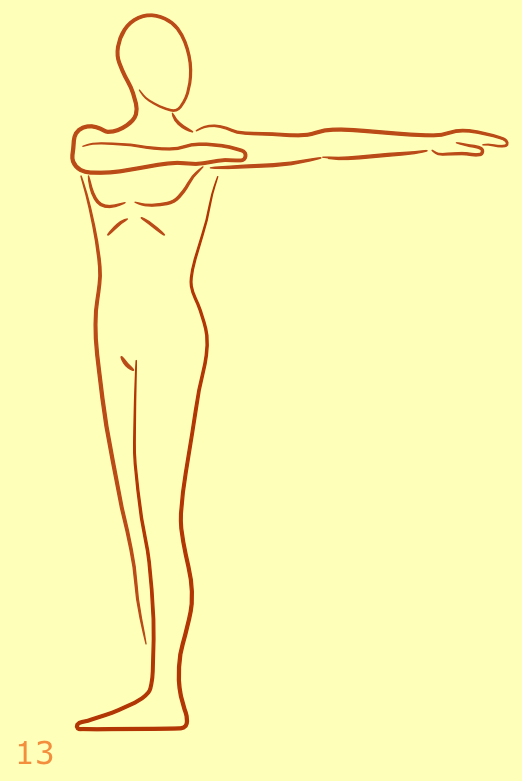 You can print it and use it as a quick reference when you perform the Egyptian Sun Salutation the first couple of times. 1. Stand with your feet hip-width apart, bring your palms together in front of your chest in prayer position. Take a moment for some contemplation; think about the sun and its radiant power that drives all life on earth. 2. Inhale, and stretch your arms in the air. Lift your chin up a little bit and bend slightly backwards. 3. Exhale, bend your knees and place your hands next to your feet on the floor. Keep your head up, so don’t let your head hang. You don’t have to bend as far through your knees as the figure depicted in the figure above. See what you can do. If you can bend your knees only a little, that’s OK.
4. Inhale, straighten your legs and stand tall. Stretch your arms overhead. Place your handpalms together. 5. Exhale and bend to the right. 6. Inhale and come back to the center. 7. Exhale and bend to the left. 8. Inhale and come back to the center. 9. Exhale and bend forward. Let your head and arms hang loosely. You you may bend your knees a bit if you prefer to do so. 10. As you inhale, you slowly extend your spine. Pile up the vertebrae one by one as if you’re building a stack of blocks. Let your arms point forward. 11. Exhale and twist to the right. Look at your right hand. 12. Inhale and come back to the center. Your arms are pointing forward again. 13. Exhale and twist to the left. Look at your left hand. 14. 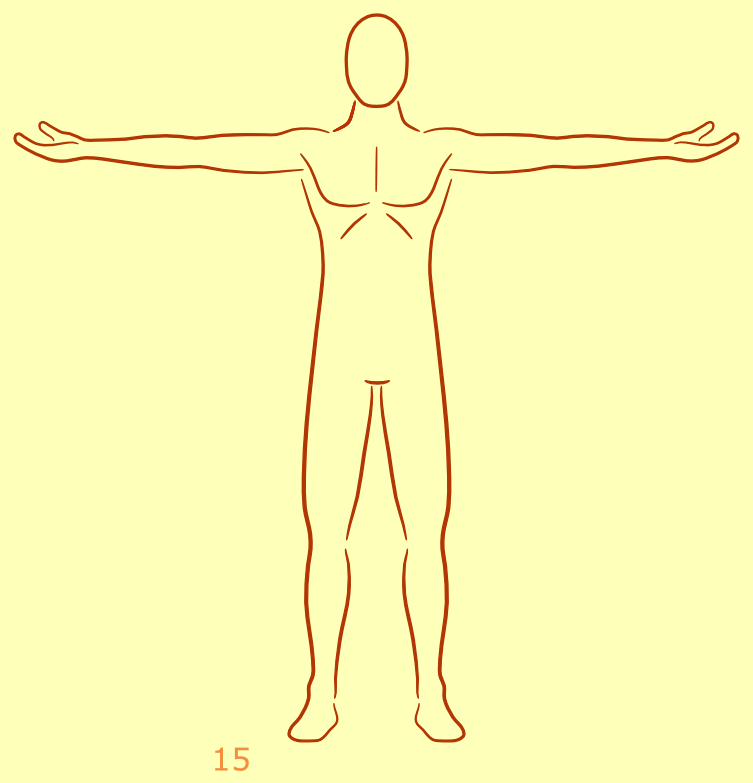 Inhale and come back to the center, extend your arms out to the side at shoulder height, your palms are facing downward. 15. Exhale, and turn your palms upward. 16. Inhale, stretch your arms overhead. Bring your palms together. 17. Exhale, bend your knees and place your hands next to your feet. 18. Inhale, and stretch your arms in the air. Lift your chin up a little bit and bend slightly backwards. 19. Exhale, bring your palms together in front of your chest. You’ve just completed one round. You can do as much rounds as you like. 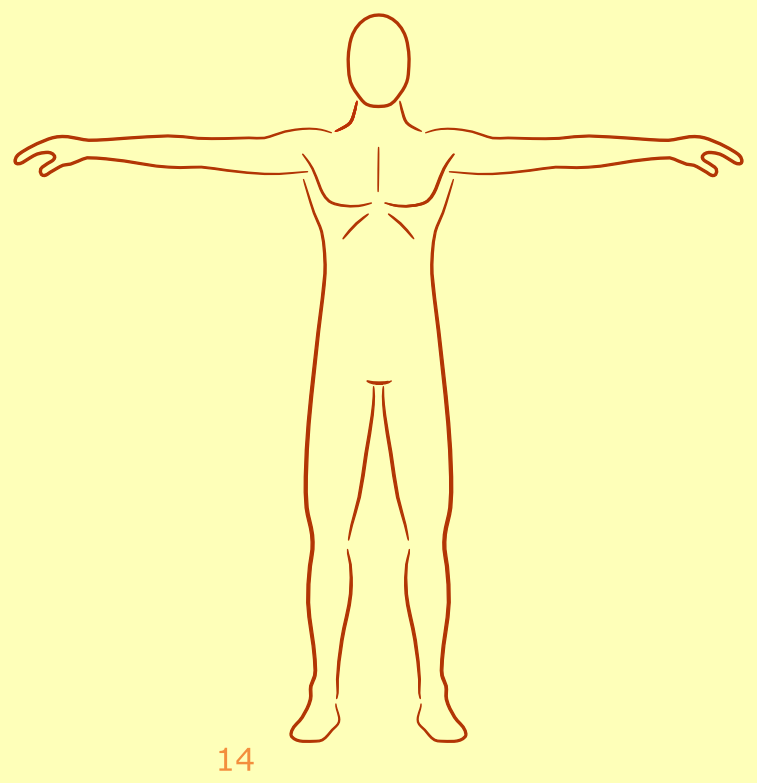 When I perform the Egyptian Sun Salutation, I usually do 4 to 7 rounds. The Egyptian Sun Salutation is intended to be an energizing exercise, so you may perform it in a faster pace than most other yoga exercises (even slightly faster than in the video). But of course you’re free to do this exercise in a slow tempo if you like. It’ll become more calming and meditative if you do so. You may have noticed that steps 16 through 19 are just the same as 1 through 4, except that they’re exactly in reverse order. Basically, you build up in step 1-4, in step 5 through 15 you do the sidebends, forward bend and twists and you complete the sequence in step 16-19. You can bend to the sides and twist twice if you like to. That is, when you’ve bended to the right and left, you bend to both sides again before you move on to the next pose in the sequence. The same goes for the twists; you twist to the right and left and then you repeat the twist to both sides. Personally, I prefer to do it all only once. To me, the whole sequence has a better flow that way. But I suggest you try both and see what works best for you. Click here for a quick reference of the whole sequence (in PDF format). When you’re doing the Egyptian Sun Salutation for the first couple of times, and you don’t know what to do next at some point, you just have to take a peek. Did you find this post useful? Then, please share it and/or click on the Facebook/Google+ like button below. You would help me a great deal by doing so! This entry was posted in Uncategorized and tagged back, dynamic sequence, Egyptian yoga, energizing, shoulders by admin. Bookmark the permalink.